An adaptation of Kurt Vonnegut’s classic novel “Slaughterhouse-Five” is in development at Epix, an individual with knowledge of production tells TheWrap. The potential series hails from Universal Cable Productions and Syfy’s “Happy!” showrunner, Patrick Macmanus. Vonnegut’s novel tells the story of Billy Pilgrim, a World War 2 soldier who becomes “unstuck in time” and travels back and forth through his past, present and future. 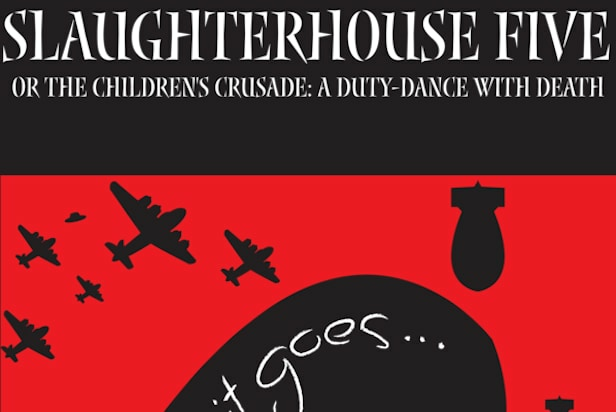 “Slaughterhouse-Five” explores the idea of predestination versus free will, the effects of war, and our perception of time. Macmanus will write and executive produce, along with Gale Anne Hurd of Valhalla Entertainment, Jon Brown for Ensemble Entertainment and Bradley Yonover under the Brand Y Media banner. Emmy-nominated “Handmaid’s Tale” director Kari Skogland will sit behind the camera for he project. If the adaptation is ordered to series, it would not be the first attempt to bring the book to the screen. A 1972 film version starred Michael Sacks as Billy Pilgrim. Variety first reported the development news. Dead is dead is dead. Unless you're on TV. 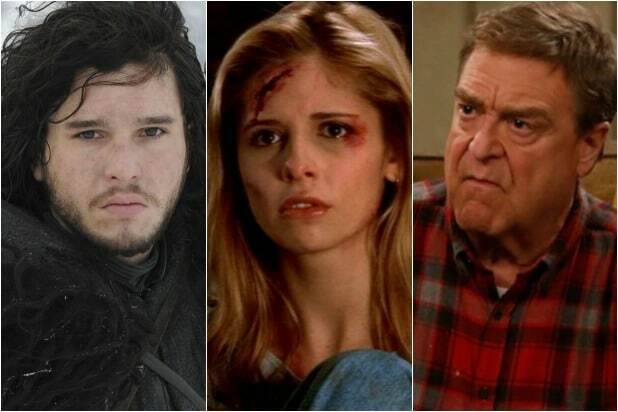 Whether it was planned out carefully over several seasons by writers or thrown in without a solid explanation, small-screen deaths don't always stick. It's not uncommon for a TV character to be resurrected after you were sure, so sure, that they were gone for good. Seriously, the trope has been done to death at this point. Click through TheWrap's gallery to see the best examples. And, it really should go without saying, but spoiler alert. Buffy Summers, "Buffy the Vampire Slayer" -- Here lies Buffy Summers. She saved the world. A lot. Yes, the titular heroine of Joss Whedon's OG supernatural series died at the end of Season 5, just before the show jumped to UPN. She sacrificed herself as a "gift" to the world. But not to worry, her super powerful witch BFF Willow was able to resurrect her by the Season 6 premiere. Lydia Davis, "Revenge" -- Lydia survived both a fall from a high-rise balcony onto a parked taxi and a plane bombing -- don't overthink it. Literally everyone on "Supernatural" -- Honestly, there are way too many to go over here. Mainly Sam and Dean. Multiple times. Sometimes multiple times per season. But, yeah, moving on. Jimmy Lishman, "Shameless" -- Everyone thought Jimmy was murdered on his father-in-law’s yacht until he showed up at the Gallagher household during the end credits of the Season 4 finale, blaming the whole misunderstanding on slave labor. Taylor Hayes, "The Bold and the Beautiful" -- Taylor died and came back to life twice and both incidents involved the same Moroccan prince. Look, we get that it's a soap opera, but even that was a bit much. Alison DiLaurentis, "Pretty Little Liars" -- You may have figured it out before it was actually revealed on screen after a few seasons, but yes, Alison was alive the whole time. And she'd been watching her friends grieving and suffering over her death, and the blackmail that came soon after she croaked, for years. Awkward. Elizabeth Keen, "The Blacklist" -- The first time Liz faked her death we were in on it, the second time, not so much. Girl, if you try to do it again no one will believe you. Find a new escape route. Michael Cordero, "Jane the Virgin" -- Jane's husband Michael died halfway through Season 3 of The CW series, collapsing suddenly after recovering from a gunshot wound to the chest months earlier. The show immediately jumped ahead a few years, where Jane was finally able to find love again with Rafael. However, in the final moments of the recent Season 4 finale, we discovered Michael is still alive, but we have no idea how. Fans should find out when the fifth season premieres this fall and that reveal can't come fast enough. Dan Conner, "Roseanne" -- The ABC sitcom's revival explained away Dan's death on the original series' depressing finale as a joke in the first few minutes of its return. Of course, then the comedy itself was killed off last month after just one new season, thanks to star Roseanne Barr's tweeting habits. Maya Lewis, "Scandal" -- For 22 years, Olivia Pope believed her mother died in a plane crash caused by Fitz. In Season 3, we discovered she wasn't. But based on how much trouble Maya caused throughout the rest of the series, dead may have been a better status than alive. Tasha Yar, "Star Trek the Next Generation" -- This was a case of an actor wanting out, then back in, and a show obliging by way of death. Denise Crosby didn't like the direction "TNG" was going in, so they killed off Tasha. But then, they had to find a way to bring her back for a few episodes, so when Crosby was on board with returning, the writers created a new timeline where she didn't die. But she was only alive in that timeline. Problem solved. Tony Almeida, "24" -- Fun fact: You don't always die from a lethal injection. Yes, we said lethal. Tony was thought to have been axed this way, until we found out Jack Bauer's enemy Henderson missed his vital organs on purpose so that he could revive him and use him in his plot to kill the president. Sure, sure, sure. Sherlock Holmes, "Sherlock" -- Fans had to wait two long years to find out how Benedict Cumberbatch's character could have possibly survived leaping from a hospital roof to his death. In the end, "Sherlock" decided to tease you for eternity by suggesting a few possibilities, but ultimately never revealing what happened. Bobby Ewing, "Dallas" -- Bobby Ewing was literally dead on this show for an entire season before he was brought back in a very bizarre way. His wife finds him in the shower and suddenly realizes that whole chunk of series was a dream. The was more than a little trippy for fans of the primetime CBS soap. Bart and Evelyn Bass, "Gossip Girl" -- Chuck thought mommy and daddy were dead. They weren't. Kara Thrace, "Battlestar Galactica" -- The top pilot on "Battlestar Galactica" was killed and presumed dead after her ship imploded during a mission on Season 3. She returned alive in the season finale with a new messianic outlook, and helps the ship find "earth." In the end, it's never clear if she was actually back from the dead, or an angel in disguise. Sydney Andrews, "Melrose Place" -- In 1997, viewers of this primetime Fox soap were crushed when a car struck and killed Sydney Andrews on her wedding day in the original series. But in the pilot of the short-lived remake, Sydney is alive -- for about 10 minutes. She's soon found floating in the apartment complex's pool. Sorry, Syd. Jon Snow, "Game of Thrones" -- And of course, there is the most famous case of all: Jon Snow. We thought he was gone for good, we knew nothing. It looks like we may soon have another addition to the list, as a recent teaser for the sixth and final season of "Nashville" suggests Connie Britton's Rayna James is coming back to life before the show wraps, after dying on-screen last season in a car accident.